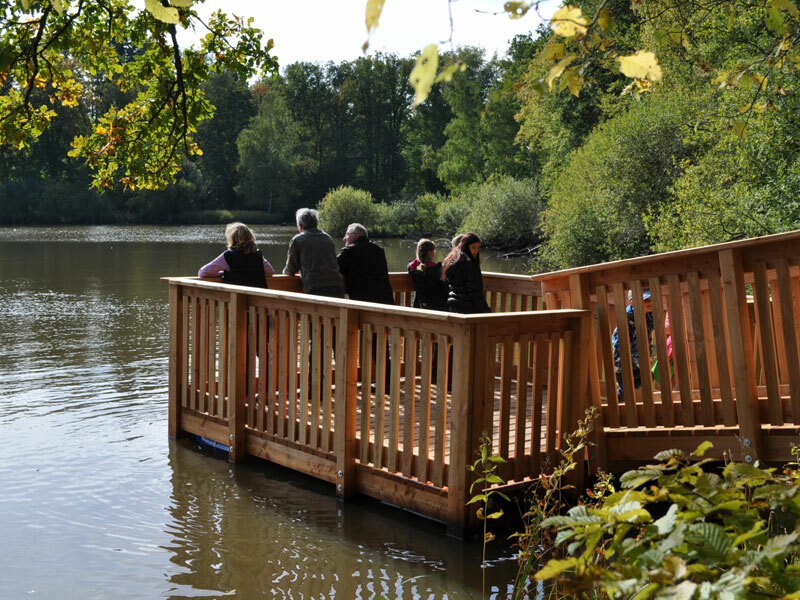 A highlight of the Nature Experience Path NatURwaldweg in Dornheim is the floating platform in a lake called Wolfsee, providing visitors with an ideal place to study the natural world, or to relax. 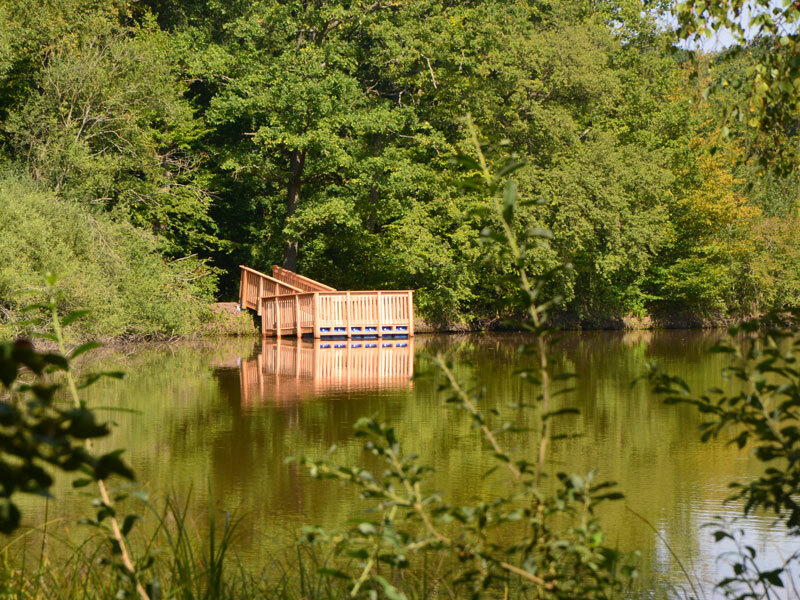 The 4 x 4m platform of larch timber offering room for up to 20 people is reached over a footbridge. 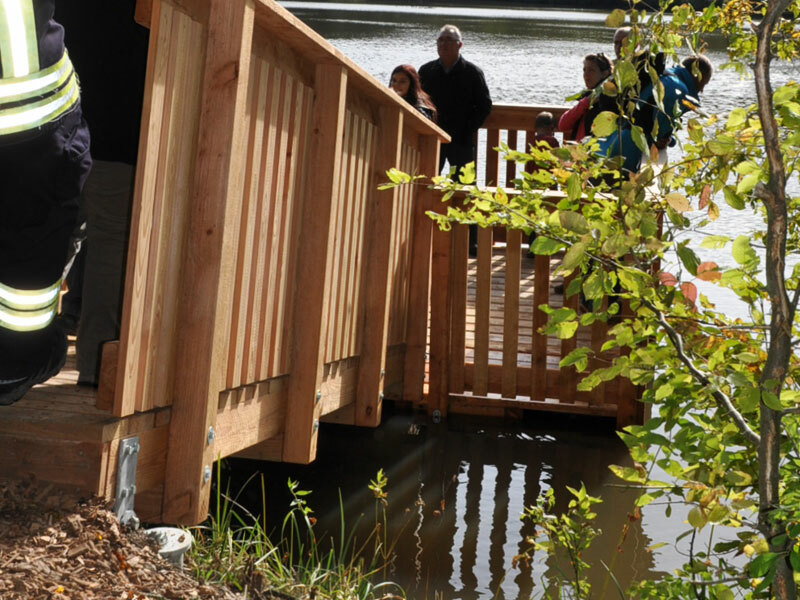 The plastic pontoons of attached under the wooden construction provide the necessary buoyancy. 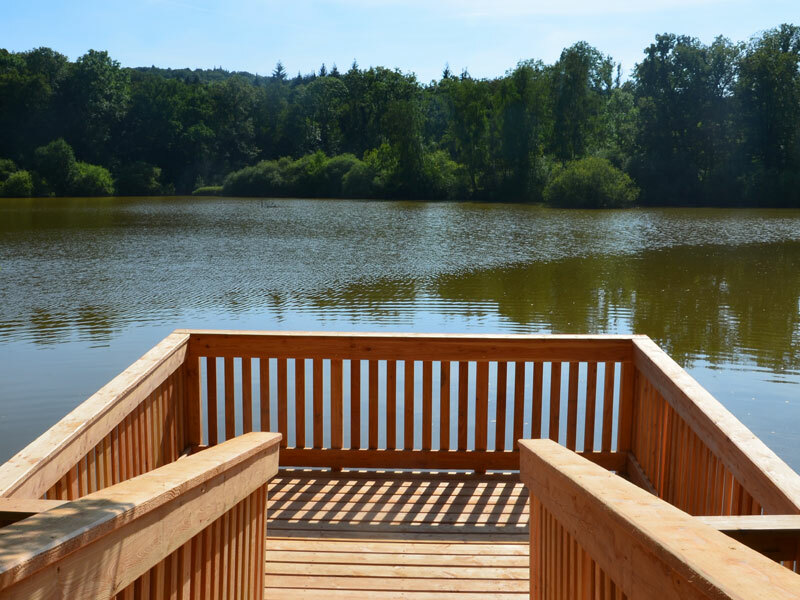 To deal with the sensitive environment surround the lakes banks, but also ensuring adequate footing, Ground Screws were used.